Knight served by his squire and pages. 11th century. Home » Knight served by his squire and pages. 11th century. Chevalier servi par son écuyer et ses pages. The Carolingian Fashion Period from 987 to 1270. 11th to 13th century. 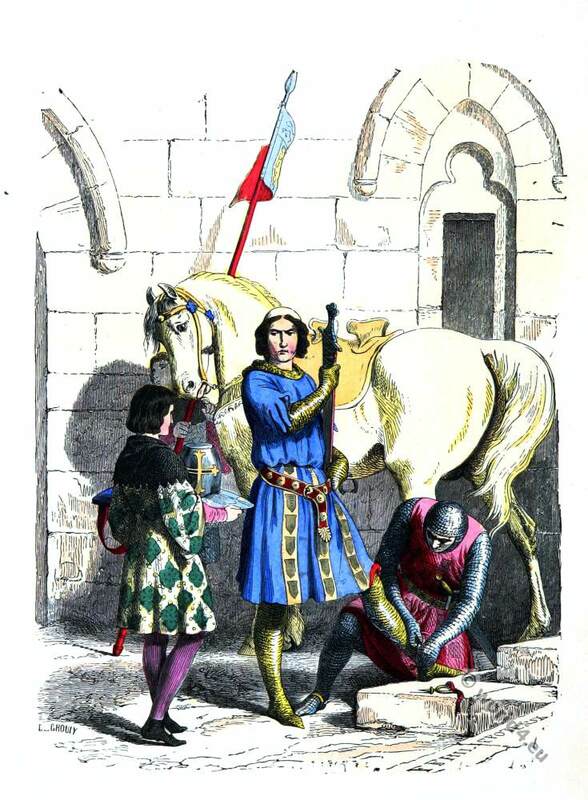 Medieval clothing in France. The Knights of the Teutonic Order of Knighthood. The First Crusade. The Knights Hospitallers. Middle Ages fashion history in Germany. 11th to 13th century. This entry was posted in 11th Century, France, Middle Ages, Military and tagged Augustin Challamel, Costumes civils et militaires des Français, Knighthood, Medieval costume on 5/25/15 by world4.